NextWhat’s the Matter with San Francisco? When I moved to San Francisco in 2003, I found a place to live in one weekend. A property manager had three or four apartments for rent within a five-minute walk of each other in Lower Nob Hill, a dense neighborhood uphill from the Tenderloin and Union Square that was still rough around the edges at the time. It was exactly the type of neighborhood I was looking for, as my budget didn’t stretch to dining at fancy restaurants and I wanted to be within walking distance of a BART station. Ten years later I went back to look at apartments in the same neighborhood. So many people showed up to look at one miniscule $1,700-a-month studio that half of the crowd was asked to wait on the street because the grand old lobby of the post-quake apartment building wasn’t big enough to hold them. Now, a year later, prices on 350-square-foot apartments have topped $2,000 in some buildings. At another open house in 2013, in a relatively unhip western neighborhood, the realtor showing the unit asked the crowd in attendance to make offers higher than the price shown on Craigslist if they were serious about signing a lease. The lack of housing availability and affordability during the late nineties dot-com boom is legendary. No-fault evictions soared as the population of San Francisco grew and higher-paid workers in new industries moved into formerly low-cost parts of the city. After the boom ended, many people left and rental prices dropped significantly. While San Francisco was still not affordable for a lot of people, it seemed possible to live here without dot-com money. Once I accounted for the savings of not owning a car, my cost of living wasn’t much different than it had been during the previous year I’d spent living in Ohio. 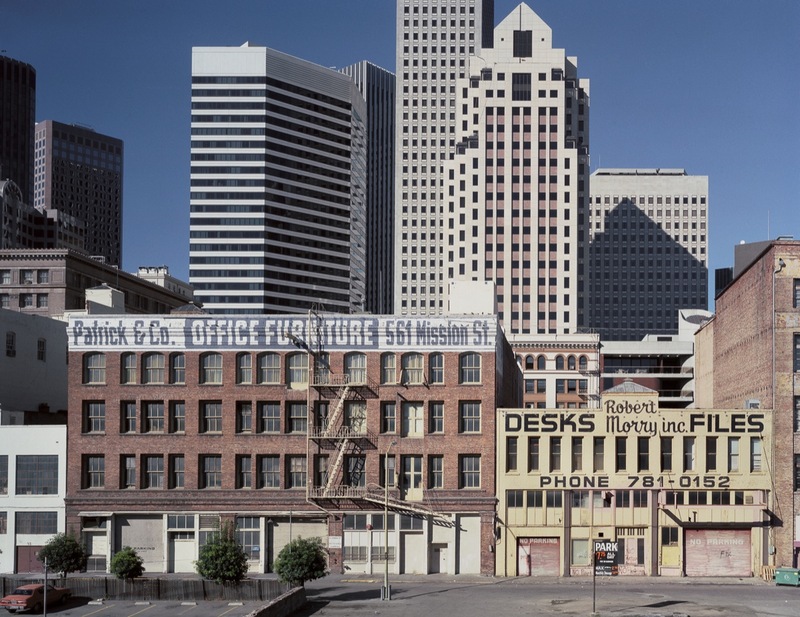 Janet Delaney, View of the Financial District from south of Market Street, 1983. Yet in the second tech boom, things are even worse than they were in the late 1990s. San Francisco is now the most-expensive large city in the United States. Protests in front of tech company shuttle buses have made front-page news around the country, housing costs dominate casual conversations, and San Francisco’s already strong antidevelopment sentiment is growing angrier. Yet, common sense and a basic understanding of economics suggests that building more housing is probably the only way out of staggeringly high housing prices in the long term. In the short term, though, we’re stuck right where we are in an increasingly untenable position. To fully understand what’s happening here, let’s zoom out and take in the wider picture. San Francisco is a relatively small part of a much larger nine-county metropolitan area of over seven million people. Within this area, governance is fragmented at the county and city levels and it is served by a slew of separate transportation agencies, including six separate but overlapping bus agencies and four regional rail or light rail agencies. There are three major airports, run by separate agencies, and while regional housing policy is supposed to mandate that all municipalities provide their respective shares of housing demand, based on employment patterns, this is often undermined at the local level. Public policy is often not coordinated in any meaningful way at the regional level. With many of the surrounding cities and counties abdicating their responsibilities to the region as a whole, San Francisco must, unfortunately, now decide on its own what role it wants to play in providing the Bay Area’s balance of housing and office space. It must also come to terms with its own troubled history with development. The Bay Area has also led the country’s economic recovery over the past five years, making it a very attractive place for job seekers—especially those in high-paying industries such as technology and biotech. While many of those jobs are within San Francisco city limits, many more—including those with big name behemoths like Apple and Facebook—are in suburban Santa Clara County, that is, Silicon Valley. Although cities in the Valley, such as Google’s home of Mountain View, have been eager to approve the construction of new office space, they’ve refused to allow new housing construction to provide places for employees to live near their offices. Google, for one, has proposed to build housing near its campus in Mountain View, but the city has rejected those plans. In fact, the city of Mountain View expressly forbade housing in its citywide general plan for the area around the company’s Bayshore campus.¹ Google’s plans would have put large numbers of its employees within walking distance of work, while also building a walkable neighborhood near a light rail station. The truth is that suburban municipalities don’t want to build more housing—there’s no undeveloped land to build on, and density is anathema to many residents in these communities. After all, single family homes with big yards are what suburban living is all about. A housing shortage also benefits homeowners, who see the value of their homes increase and have little to fear from rising property tax bills thanks to California’s Proposition 13. Even if Google, Apple, and Facebook employees all wanted to live closer to work, they could never find enough places to live. Many communities also set limits for vehicular traffic that employers need to comply with as part of transportation management plans that must be submitted alongside planning applications. Aside from being a recruiting tool, company shuttles are a primary way of complying with these regulations. Why not subsidize existing mass transit? For most people public transportation to peninsula office park destinations is incredibly time-consuming or impossible, and Caltrain lacks the capacity to take that many additional riders because it is already standing room only on many rush hour trains. Caltrain will be upgrading in the coming years with high-speed rail funds, but that is still in the future. Solnit lives in the Mission District and she sees the tech boom and the buses as “changing the character of what was once a great city of refuge for dissidents, queers, pacifists and experimentalists.” She portrays the Google bus riders as outsiders who are displacing the city’s residents. “My brother says that the first time he saw one unload its riders he thought they were German tourists,” she writes, “neatly dressed, uncool, a little out of place, blinking in the light as they emerged from their pod.” It’s not just Solnit who sees things this way. This is the tone of a now-dominant narrative among the city’s progressives—that workers in the technology industry do not belong here and are not the type of people who are supposed to be in San Francisco. It is a strangely unprogressive attitude for this open-hearted city. Solnit’s article brought a lot of attention to the phenomenon of technology workers commuting from San Francisco neighborhoods to the peninsula to work, and it spurred larger discussions about class and displacement. The buses are a symbol of change, and this has made them an attractive target for protests as San Franciscans struggle to find a tangible outlet for their frustrations about how the city is changing. On several occasions, beginning in December of 2013, protesters blockaded the coaches in the street with banners decrying evictions and rising house prices that they blame on the tech industry. The buses aren’t really the problem, though. They are a symptom of a long term transition in San Francisco’s role in the region—from being an employment center to becoming one of the region’s and, indeed, one of the world’s most coveted urban residential areas. 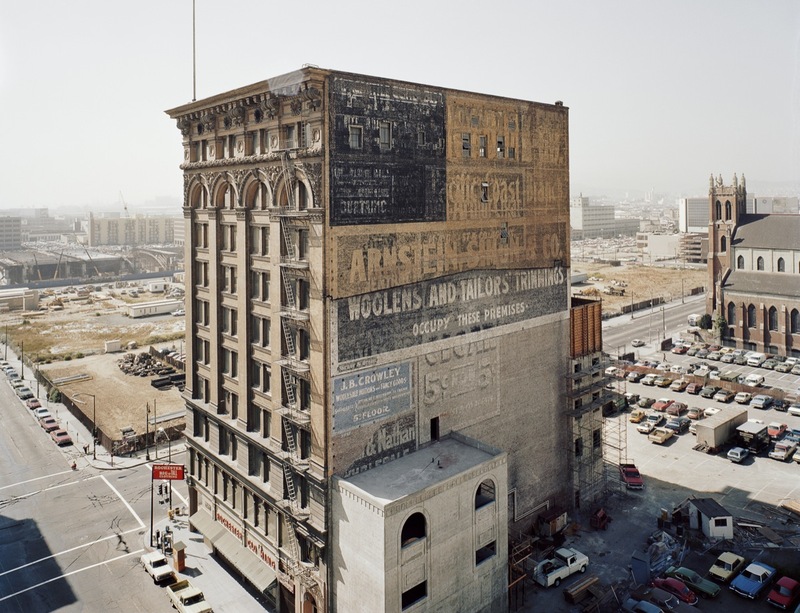 Janet Delaney, Mercantile Building, Mission and 3rd Streets, 1980. Across the country, young people are flocking to walkable neighborhoods and urban centers. Current twenty-somethings live in urban areas at a higher rate than Gen X’ers or Baby Boomers did at the same age and “88% of them want to live in an urban environment.”4 This represents a fundamental change in the way cities are viewed within the United States. San Francisco lost population for much of the second half of the twentieth century; its population peaked in the 1950 US Census and declined until 1980, similar to most other urban centers in the country. It didn’t reach its 1950 population again until 2000, and it has continued to increase since then. Cities are no longer places to be abandoned; urban properties near public transportation now hold their value better than homes in new outer-suburban areas. It is easy for recent arrivals in San Francisco to assume it was always a desirable place to live, but San Francisco’s history is not dissimilar to much of the rest of North America: many white, middle-class San Franciscans fled the city for the suburbs, encouraged by new freeways and government-backed mortgages. This was coupled with new arrivals seeking an affordable place to live. Mexican, Central American, and Asian immigrant groups moved into areas that white residents moved out of in the decades following World War II and started businesses and community organizations. Counterculture movements also flourished in San Francisco (and other American cities like New York) in the mid to late twentieth century. From the Beat poets in North Beach in the 1950s, to the hippies and the Summer of Love in the Haight, to the gay culture that developed in the Castro in the 1970s, to punks and artists living in the Mission alongside a large lesbian community in the 1980s and early 1990s, the city attracted outsiders. Perceived as dirty and dangerous (which in many cases they were), cities were not places mainstream, upper middle-class white America wanted to live. As a result rents were cheap and space was plentiful. The 1980s brought changes to San Francisco as the city began to recover from a loss of blue collar jobs and attracted higher-paying white collar industries. Writers lamented that long-time residents were being forced out by yuppies who were flowing into the city from elsewhere to work downtown; it was dubbed by one “perhaps the most gentrified large city in the nation.” Dean Macris, the city planning director at the time, called it the “boutiquing of San Francisco,”5 though the gentrification mostly focused on downtown and nearby areas like North Beach. The increasing economic power of downtown and the growth in construction of office towers in this era set off political battles over “Manhattanization.” The phrase conjures a nightmare vision of looming towers blocking the city’s sparkling light and beautiful views of the bay. It is red meat to San Franciscans, who hate to see their city compared to anywhere else, much less Manhattan. This antidevelopment sentiment led to the strictest set of planning guidelines in the United States, rules that capped office construction to a set amount each year, required review of all designs, and economic justification for any new building’s construction. The cap on square footage was later halved to 475,000 square feet per year by a ballot referendum in 1986, smaller than the floor area of many individual skyscrapers (the Transamerica Pyramid, as a comparison, contains 530,000 square feet on forty-eight floors).6 This massive increase in bureaucracy successfully limited the construction of offices, so developers started building large hotels instead. Some absolutely awful buildings went up in this era, including the infamous Marriott Hotel, also known as “The Jukebox” owing to its vast expanses of poorly detailed mirrored glass arranged in decorative arches high above the corner of Mission and Fourth Streets. To this day it “remains as grating as the sound of fingernails on chalkboard,” in the infelicitous words of San Francisco Chronicle architecture critic John King.7 The guidelines also had other unintended consequences. Janet Delaney, Saturday Afternoon on Howard between 3rd and 4th Streets, 1980. When a progressive majority took over the Board of Supervisors in 2001, in a backlash against pro-development mayor Willie Brown, legislation was passed to put a moratorium on live-work to stop the abuse of the program, and the city’s affordable housing program was revised. Hoping to clarify the development process in former industrial areas to make better use of underutilized land, the city planning department set up the “Eastern Neighborhoods Project” to create a long-range framework that would encourage and guide responsible development. A community planning process began in 2001, and the individual area plans within the Eastern Neighborhoods Project were approved by the Board of Supervisors in January 2009. This finalized the rezoning of 2,200 acres of San Francisco for reuse, nearly a quarter of the city, primarily as housing and mixed-use, but it also reserved space for light industrial uses. This project did broad-based planning for a large area that included parts of, the Mission, and Potrero Hill, in an effort to balance the needs of current residents with the city’s desire to add new housing stock in a central area well served by public transit. Years of meetings and outreach were held, and planners studied the needs of the area extensively. Affordable housing requirements for new buildings were increased, a new type of zoning to protect small businesses was included, and design guidelines were issued to allow higher density while at the same time promoting a more pedestrian-friendly environment. Most importantly, area plans for each neighborhood in the plan were written and an Environmental Impact Report (EIR) for the area was created, making it unnecessary for individual projects to write their own reports if they complied with the new planning regulations. Because San Francisco takes a particularly aggressive approach to interpreting the California Environmental Quality Act (CEQA), which requires the environmental impact of potential projects to be measured against alternatives, having blanket EIRs for entire neighborhoods should speed up the planning process considerably. CEQA was created in the 1970s with the intention of ensuring large-scale development projects were studied for potential impact prior to approval. Originally applied only to government projects, a court ruling extended the legislation’s reach to private projects shortly after its implementation. In subsequent years, it has become a favorite tool of people looking to block projects they don’t like for a wide variety of reasons. Preparing a detailed Environmental Impact Report (EIR) to comply with CEQA generally adds at least a year and a half to a project timeline and is costly. A prominent anti-bicycle activist managed to stop the implementation of San Francisco’s bike plan for years by filing a lawsuit requiring the city to prepare an EIR before any improvements could be made, meaning the city was legally prevented from performing even simple functions such as installing sidewalk bicycle racks. The resulting shortage has done a number on housing prices. Small one-bedroom apartments near the Twitter headquarters at Civic Center, or mid-Market as it is now being called, are renting for $4,400 a month. Not that long ago, this was one of the last neighborhoods in San Francisco where one could find an apartment for under $1,000, and now high-rise residential towers are leased out before construction has even been finished for prices that were unthinkable five years ago. The median price on a two-bedroom home is hovering near $1 million, making San Francisco the most expensive city in the United States. 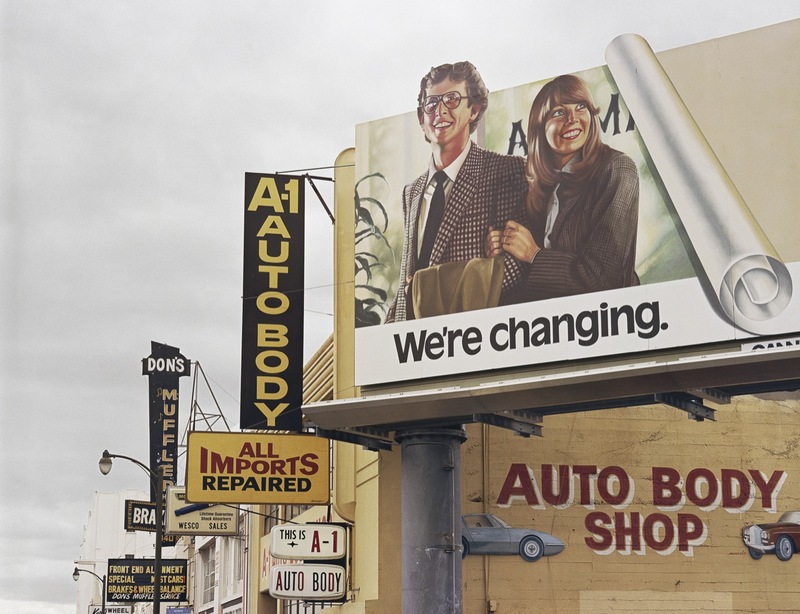 Janet Delaney, 10th St at Folsom, 1982. It is often said that “the best thing about San Francisco is that everyone has a say, and the worst thing about San Francisco is that everyone has a say.” Making any sort of major decision involves scores of public meetings, mailings, and a vast amount of public input. Most cities allow planning staff to make over-the-counter approval of projects that comply with the existing regulations, meaning that development is fairly predictable. This is known as “as of right” development and is allowed even in some other Bay Area municipalities. In San Francisco, all permits are discretionary, which means that it’s nearly impossible to build anything without both a series of public notifications, meetings, and a design review by the planning department. Even after a building permit is granted, project opponents may file an appeal and have a construction project stopped within fifteen days. At some levels, this is a vast improvement from earlier eras when decisions were made behind closed doors and imposed on the populace. On the other hand, even public projects get held up in years of expensive bureaucracy. A bus rapid transit project for Geary Boulevard has been in planning since the passage of a local ballot measure authorized funding in 2003, yet eleven years later construction hasn’t even begun as a handful of people in the neighborhood fought for years to preserve each and every parking space. Neighborhood plans similar to the Eastern Neighborhoods Project have been successful in other San Francisco neighborhoods, such as Hayes Valley, but there are signs that opposition to development is growing and any plan to add much-needed housing in the Mission is likely to meet stiff resistance. A perfect example can be found at 1050 Valencia Street, formerly home to a KFC restaurant and surface parking lot. A proposed twelve-unit condo project here fulfilled all of the city’s planning guidelines: no on-site car parking in a transit-rich neighborhood, bike parking, on-site affordable units, and ground floor retail. Development of the site was fiercely opposed by wealthy homeowners in the Liberty Hill Neighborhood Association. After narrowly surviving a CEQA appeal to the Board of Supervisors by one vote, the project was cut down to nine units (removing the affordable housing requirements) by the Board of Appeals, which called it “out of scale in the neighborhood,” despite its compliance with the neighborhood’s fifty-five-foot height limit and its proximity to a number of similarly sized public and private mixed-use buildings within a few blocks on the Valencia corridor. Only when the Board of Appeals was charged with violating California’s Housing Accountability Act, which forbids local agencies from reducing the density on a site to less than what is allowed by law, did they reverse their vote and allow a fifth floor to be added, restoring the previously dropped affordable housing units. 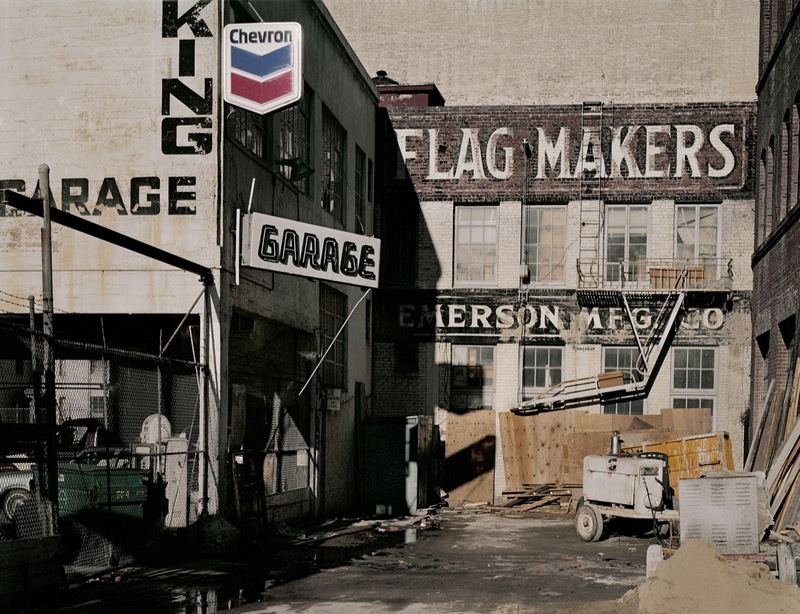 Janet Delaney, Flag Makers, Natoma at 3rd Street. Janet Delaney, One Rincon from Perry Street, by Janet Delaney, 2013. 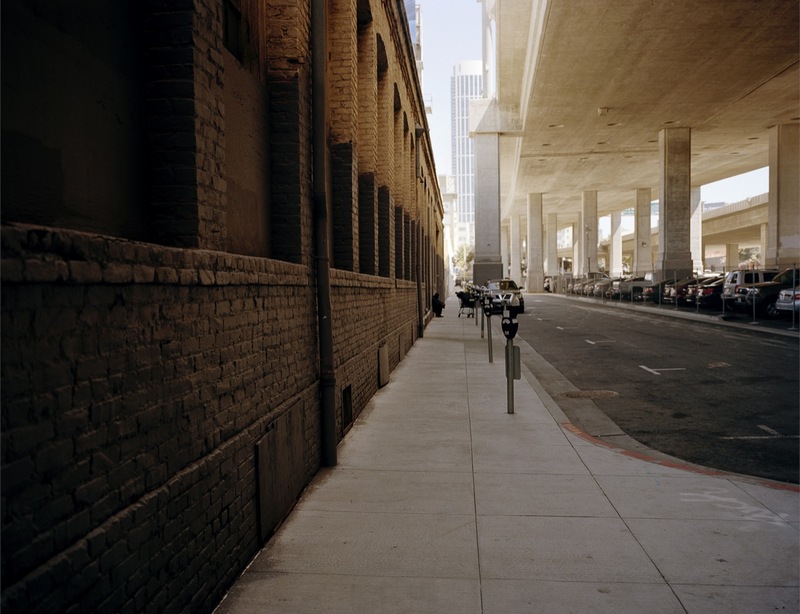 Photographs from Janet Delaney’s “South of Market” and “SoMa Now” series, featured in the exhibition Now That You’re Gone. . .San Francisco Neighborhoods Without Us at SF City Hall, February 25 – May 23, 2014. COURTESY OF THE SAN FRANCISCO ARTS COMMISSION GALLERIES AND JANET DELANEY. 1 Egon Terplan and Benjamin Grant, “The Corporate Campus Embraces Urbanization,” The Urbanist 519 (December 2012), http://www.spur.org/publications/article/2012-12-18/corporate-campus-embraces-urbanization. 2 J.K. Dineen, “San Francisco Has Lowest Office Vacancy in U.S.,” San Francisco Business Times, 25 July 2013, http://www.bizjournals.com/sanfrancisco/blog/2013/07/jll-san-francisco-has-lowest-office.html (accessed 7 March 2014). 3 Rebecca Solnit, “Diary,” London Review of Books 35.3 (February 2013): 34-35, http://www.lrb.co.uk/v35/n03/rebecca-solnit/diary. 4 Jordan Weissmann, “Why Don’t Young Americans Buy Cars?” The Atlantic, 25 March 2012, http://www.theatlantic.com/business/archive/2012/03/why-dont-young-americans-buy-cars/255001/ (accessed 25 February 2012). 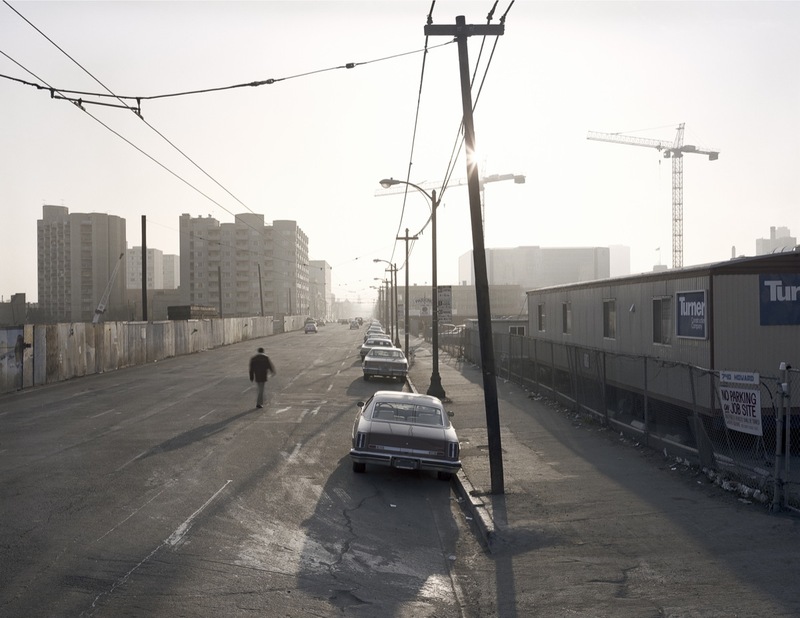 5 Dan Morain, “Gentrification’s Price: S.F. Moves: Yuppies In, the Poor Out,” Los Angeles Times, 03 April 1985, http://articles.latimes.com/1985-04-03/news/mn-28445_1_san-francisco-s-skyline (accessed 5 March 2014). 6 Paul Goldberger, “For San Francisco, ‘Cure’ Is Worse Than High-Rise ‘Disease,'” New York Times, 5 December 1987, http://www.nytimes.com/1987/12/05/us/for-san-francisco-cure-is-worse-than-high-rise-disease.html (accessed 5 March 2014). 7 John King, “If Only We Could Wave a Wand and Make Them Disappear. Alas, Our Ugly Buildings Are Here to Stay.” SF Gate, Updated 14 Feb 2014, <http://www.sfgate.com/default/article/If-only-we-could-wave-a-wand-and-make-them-2632288.php#page-2&gt; (accessed 6 March 2014). 8 Richard Hu, “San Francisco’s Urban Transformations Since the 1980s,” (UC Berkeley IURD Working Paper, September 2009), 4-6, http://www.iurd.berkeley.edu/publications/wp/2009-08.pdf. 10 Heather Smith, “My Mission: Michelle Tea, Writer,” Mission Local, 13 July 2010, http://missionlocal.org/2010/07/my-mission-michelle-tea/ (accessed 6 March 2014). 11 Paulina Borsook, “How the Internet Ruined San Francisco,” Salon, 28 October 1999, http://www.salon.com/1999/10/28/internet_2/&gt; (accessed 5 March 2014). 13 Jim Forbes, “Guesses for the New Year,” San Francisco Apartment Magazine Online, February 2003, http://www.sfaa.org/0302forbes.html (accessed 7 March 2014). 14 Robert Selna, “How S.F.’s Live-Work Development Boom Began,” San Francisco Chronicle, 18 August 2008, http://www.sfgate.com/bayarea/article/How-S-F-s-live-work-development-boom-began-3272818.php. 15 Jonah Owen Lamb, “Tech Job Growth Is Booming in SF, But Other Industries Still Dominate,” San Francisco Examiner, 19 November 2013, http://www.sfexaminer.com/sanfrancisco/tech-job-growth-is-booming-but-other-industries-still-dominate-san-francisco/Content?oid=2629996 (accessed 16 January 2014). 16 San Francisco Planning Department, “San Francisco Housing Inventory,” (May 2012), http://www.sf-planning.org/ftp/files/publications_reports/2011_Housing_Inventory_Report.pdf.